Welcome to my office. I realize that you have a great many choices for your prospective plastic surgery. And you will undoubtedly receive an equal number of quotations for their services. However, it is very important that one truly compare “apples to apples” when evaluating your options so that you may truly distinguish the differences between offices. And we realize that, with today’s economy, this diligence is particularly relevant. The purpose of this note is to highlight the “value added” benefits that this office offers when making your choice for your care. Peninsula Plastic Surgery Inc. is one of the most established surgical practices in the Bay Area. Originally established in 1966 by my now retired two senior partners, the practice has maintained a reputation for superlative plastic surgery for over forty years. Personally, I have practiced in the same community for over 22 years. This fact alone makes my office one of the most established aesthetic practices in the Bay Area. And it is a fact that surgical experience, if consistently analyzed, published and taught, can, over many years, promote better results. My practice is entirely focused on the art of cosmetic surgery. From my personal study, research and teaching to every specially trained member of my staff, my office is dedicated to the delivery of the best aesthetic surgery. This specialization is particularly evident in both my facial cosmetic (face and eyelid lifts) and body contouring (post pregnancy and weight loss) interests. As a result, I have become a recognized expert in these specific fields of interest. I have created a unique office environment that is palpably welcoming and caring, notable from the moment you meet my receptionist Mindy. You may consult with me as often as you wish and I personally visit or call you every day after your surgery. My operative protocols call for care far beyond the surgery itself, utilizing the specialized services of my staff: Treatments and makeup by my aesthetician, Silvia; unique lymphatic drainage and ultrasonic treatments by my massage therapist, Ruth; and diet and weight evaluations, as needed, with our consultants. In addition, I have instituted innovative medicinal and nutritional supplementations to encourage postoperative comfort, healing and reduced bruising. All of these services are “included” as part of your surgical care. Surgical results are more predictable with this comprehensive and team approach. I am the only private aesthetic surgeon to be active as a professor at both UCSF and Stanford Universities. 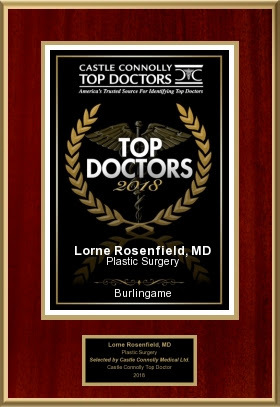 I actively teach my techniques to not only the plastic surgery residents but also to other practicing plastic surgeons both locally as well as nationally and internationally. In addition, I am consistently writing original scientific papers to substantiate leadership in the field of aesthetic surgery. In fact, I have written definitive papers or book chapters and taught my innovative techniques on all aspects of cosmetic surgery including eyelid and facelift as well as abdominal and body contouring surgeries. Student teaching, scientific publication and peer instruction clearly mandates a unique surgical standard of care that my patients benefit from every day. My staff is exceptional both in terms of their long-term allegiance to this office and more importantly, their unusual breadth and depth of experience that our patients enjoy. The entire staff is trained to insure a safe and comfortable experience for our patients. For example, my office manager, Claudette, has perfected the art of patient coordination and my operating room nurses, Sandy and Kris, have a combined 30 years of nursing expertise in one office. In addition, I have a personal scrub nurse, Tara, who facilitates the surgery by anticipating my every want and need. A great surgeon is clearly of paramount importance, but always ask yourself if their staff is equally as complete and polished. My operating room is of course fully accredited by the definitive authority: the American Association of Accreditation of Ambulatory Surgery Facilities. But again, my office has actively surpassed the “requirements” by instituting and publishing a unique safety program that helps insure the best outcomes. In fact, this program is now being adopted by local and national surgery centers and hospitals. In addition, my operating room team includes long-term on-staff personnel, not inconsistent staff from an agency. The physical operating room may look impressive but it’s the protocols and people that determine its efficiency and safety. I take pride in the fact that I have never advertised for my business: my patients have always come the old fashioned way: “by earning them, one patient at a time”. Nurses, my former patients and fellow physicians have been my sole source of patients. My marketing campaign is simply to produce the best results possible and present them. I have not only conducted many thousands of cases of aesthetic surgery over the years, but have meticulously documented the post operative results of the vast majority of them. And most importantly, rather than conveniently “cherry-picking” some great cases to show you, virtually all my results are available for you to review. Clearly, for me to do so, mandates that the results are indeed consistently successful. In other words, beware of a sparse collection of “over the top” results. Hopefully this information will be helpful and please contact me personally with any questions you may have. 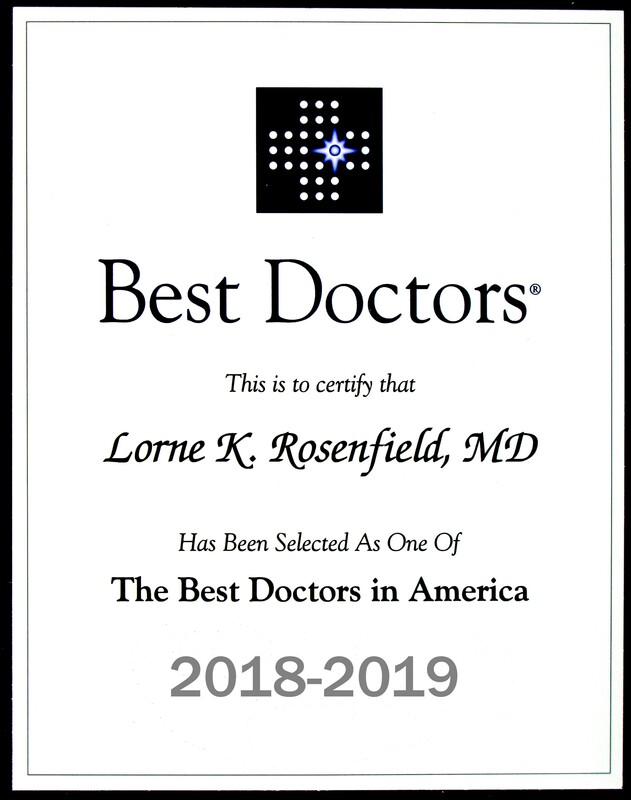 Peninsula Plastic Surgery Foundation❯ Dr. Rosenfield is happy to announce that he has successfully created a plastic surgery foundation for delivery of charity reconstructive care to those in need in our local community.